State Legislature of Himachal Pradesh established Manav Bharti University under its state act and was informed by UGC Act 1956 U/S 2(f). Unlike other institutions which are urban located, it has its roots in rural areas of Solan in Himachal Pradesh. The environment of this university campus provides a hustle free platform packed with positivity due to the green surrounding. 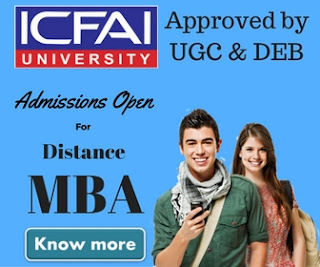 Special Note: We tried very hard to find if Manav Bharti University offers any distance education courses but couldn't find any authentic information online. We suggest our readers to stay away with this university's distance education courses until we find any trusted source which could confirm that MBU offers any such courses. Although you could take admission into its regular courses. Programs and diploma courses offered in this university consists of various Post Graduation / Under Graduation/ Diploma courses in its campus only. You cannot avail the benefits of distance education from here if you want to be a regular student. Manav bharti university, Village- Laddo, P.O- Sultanpur, Kumhar Hatti, Solan. The entire course of this university along with the fees pattern is approved by the government of Himachal Pradesh. No other study centres are available anywhere except this campus. No other learning centre and study centre is available anywhere except it but the option of distance education still remains here. As said many times earlier education cannot be refrained within any boundaries so as the courses offered from this university. All these courses are divided into eight semesters and have duration of 4 years. The syllabus of these courses are governed under AICTE concerning to regulatory body norms. In case if you are enrolling yourself for 2nd or 3rd year then minimum you have to hold 6 semesters under the guidance of AICTE. 2) BCA- It is divided into 6 semesters with course duration of 3 years and is governed under the law of AICTE. 3) MCA- it requires 2 years with 4 semesters after PGDCA and it comes under AICTE. 4) BBA- 3 years and 6 semesters is what it is going to take under the regulatory body of AICTE. 5) MBA in various stream including Human Resource Management, Hospital Administration, Finance, Information Technology, Marketing, Pharmaceutical Management and Retail- this course has 4 semesters to be covered in 2 years. 6) Diploma in Pharmacy in Allopathy and Ayurveda- It requires a duration of 2 years which is further divided into 4 Semesters to achieve. 7) Bachelor in Pharmacy in Allopathy and Ayurveda- under AICTE rules it requires 8 semesters in 4 years to be completed. 8) LLB- you need to score at least 50% if you belong to General quota or 45% if you are from SC/ST in order to enroll yourself for 3 years course. 9) BALLB- you need to score at least 50% if you belong to General quota or 45% if you are from SC/ST in order to enroll yourself for this 5 years course. 10) BA- you need to be at least 12 pass with English subject to enroll yourself for this 6 semesters course in 3 years. 11) MA- Graduate students with 45% marks or 2nd division holder or honors subject holders can go for this 4 semester’s course to be conducted in 2 years. 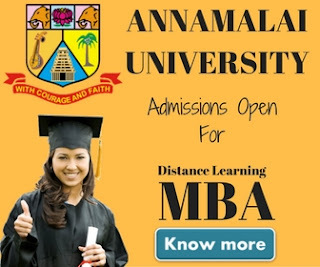 12) B. Com- a 12 pass students with minimum 45% can apply for this 3 years course to be held in 6 semesters. 13) M.Com- B.Com Students with at least 50% marks can opt for this 2 years course. Students belonging to SC/ST get a rebate of 5% in educational qualification in all the above mentioned cases. Manav Bharti University carves to train and educate the youth’s exploited talent so that they can withstand the tough circumstances of this competitive world through its distance and regular courses.